Madhya Pradesh (MP) GK Quiz No. 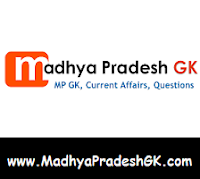 5 with Answers : Madhya Pradesh (MP) Samanya Gyan Quiz, Hindi GK Quiz Objective Questions with Answer for all competitive examination of MP State Government, MPPSC, MP Policem IBPS, SSC, BSF, Police Bharti, Teachers Exam, Admin services, State PSC, Bank, IBPS, CTET, MPTET and other examinations. This Madhya Pradesh (MP) GK Quiz or MK GK Sample Paper Question and Answers is based on MP SI Exam Paper 2012 held in previous years. Here is Sample Question Paper for all competitive examinations. Q.1. The frequency range of FM radio broadcast in India is? Q.2 Who among the following has not been awarded the Nobel Prize for Literature? Q.3 Two large temple complexes have been found in Angkorwat Cambodia Which religion are they associated with? Q.4 Fidel Castro ousted a dictator from Cuba in 1959 Who was this dictator? Q.5 Wheels of passenger vehicles are fitted with tyres and tubes which are filled with air What is the main reason for not filling up the tubes with water? Q.6 A’s mother is B’s sister and C’s daughter B’s daughter is P who is Q’s sister If C is not Q’s grandmother how is C related to Q? Q.7 Four boys are wearing clothes of different colours Ravi is not wearing white and Ajay is not wearing blue If Sohan is wearing red what is the colour of Sachin’s clothes? Q.8 A leap year is chosen at random What is the probability that this year would have 53 Mondays? Q.9 Three horses A, B and C, are participating in a race If the probability of A winning the race is twice the probability of B winning it and the probability of B winning the race is twice the probability of C winning it what is the probability that either B or C will win the race? Q.10 Some men are travelling with their horses At one point of time half the men are riding their horses while the rest are walking along leading their horses If the number of legs on the ground at that time is 40 what is the number of horses in the party?